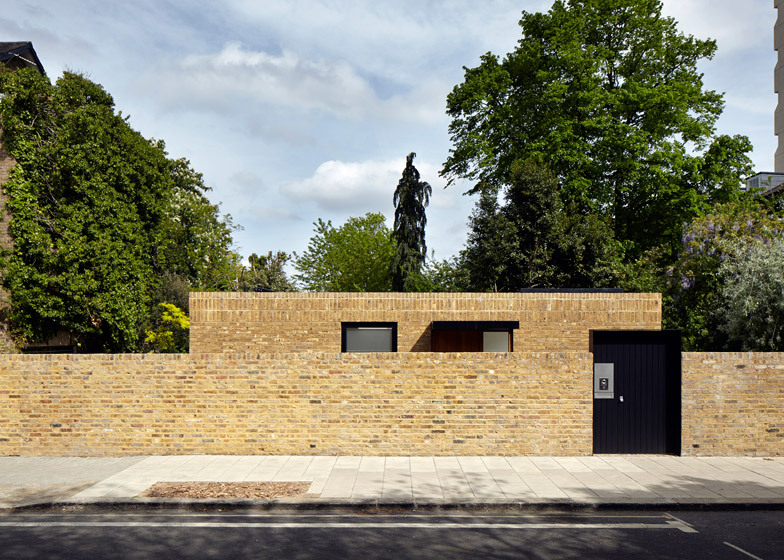 A brick wall conceals the majority of this two-storey house that Phillips Tracey Architects has slotted between a pair of heritage-listed buildings in south London (+ slideshow). 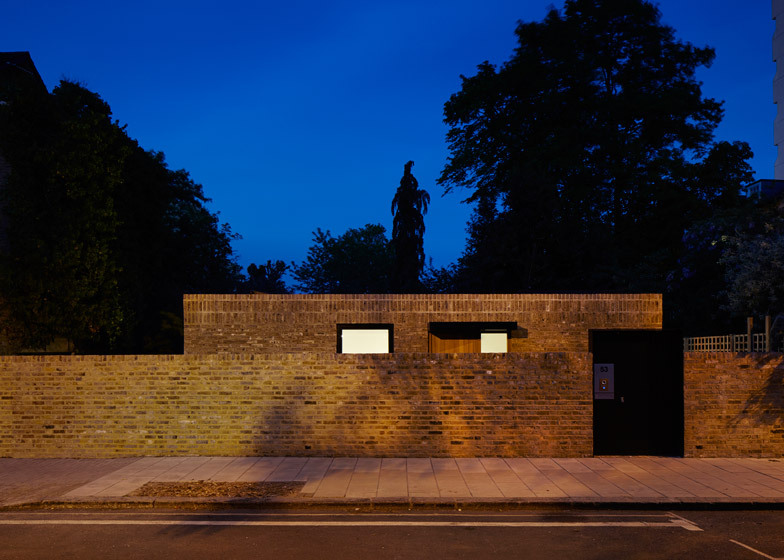 Previously the site of a derelict dental surgery, the Lansdowne Gardens property follows the form of the original building – creating the illusion of a one-storey structure from street level. 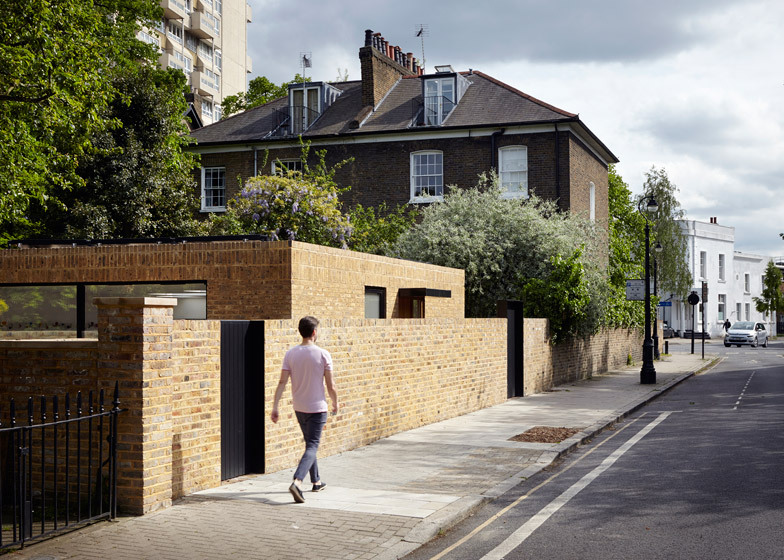 "From the pavement the house appears as a single-storey pavilion," explained Brendan Tracey, director of Surrey-based Phillips Tracey Architects. 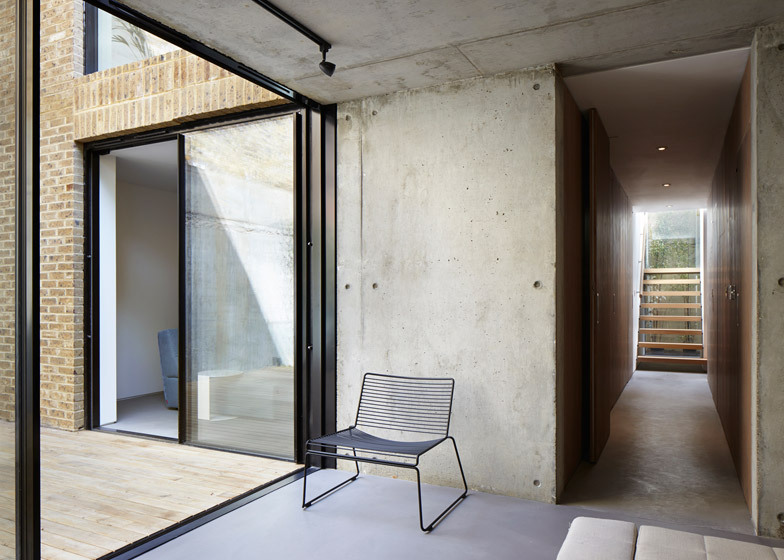 "Its true nature as a two-storey structure is only revealed beyond the entrance, which is set into the restored boundary wall." Aiming to fit in with the surroundings, Phillips Tracey opted for yellow-toned brickwork similar to the walls of the neighbouring Georgian buildings, but of a slightly lighter hue. 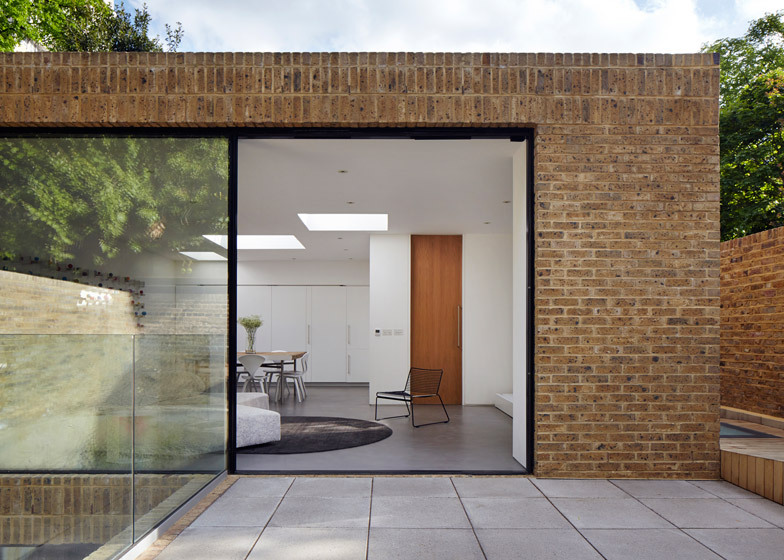 "The striking brickwork complements the surrounding environment, while allowing the house to offer an outstanding contemporary presence," said Tracey. "The relatively light yellow colouring offers a gentle tonal contrast with the darker brick of the older buildings to either side." A black door partway along the wall provides an entrance to the property. From here, residents either enter through a second door, or walk around to a pair of multi-level terraces on one side. 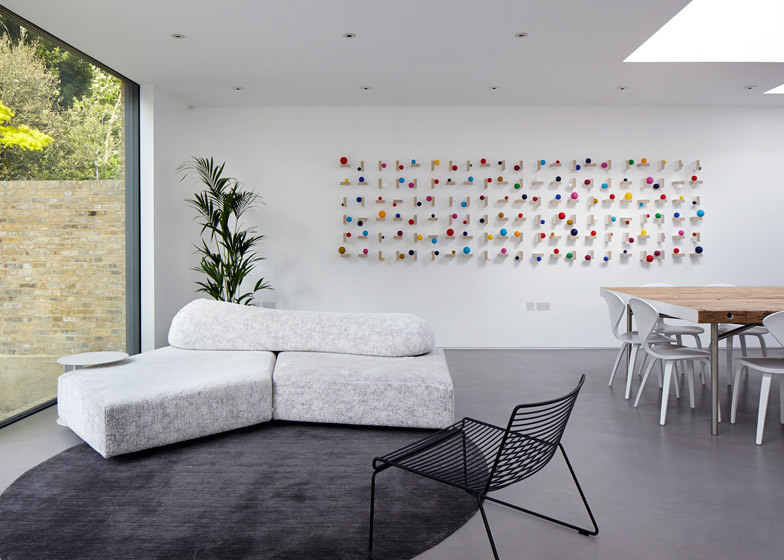 Large expanses of glazing create views between the terraces and the living spaces within. 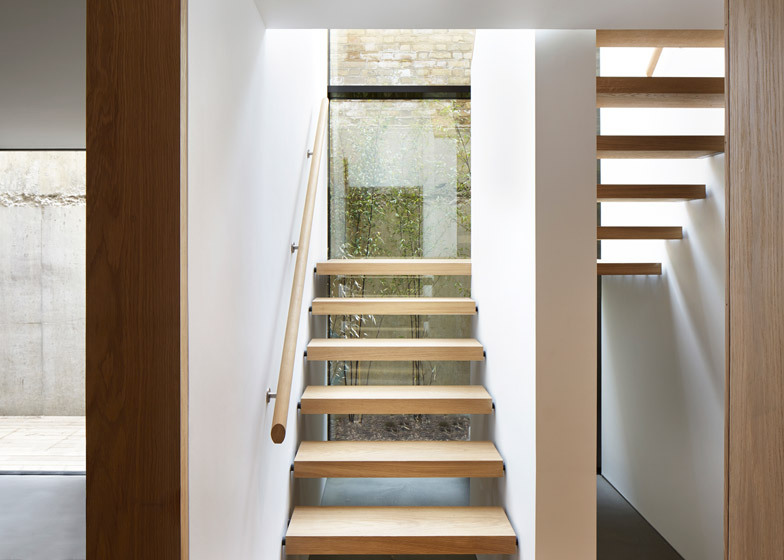 There is also a large window framed in black aluminium on the other side of the building – showcasing an oak staircase that connects the ground floor to the basement level. 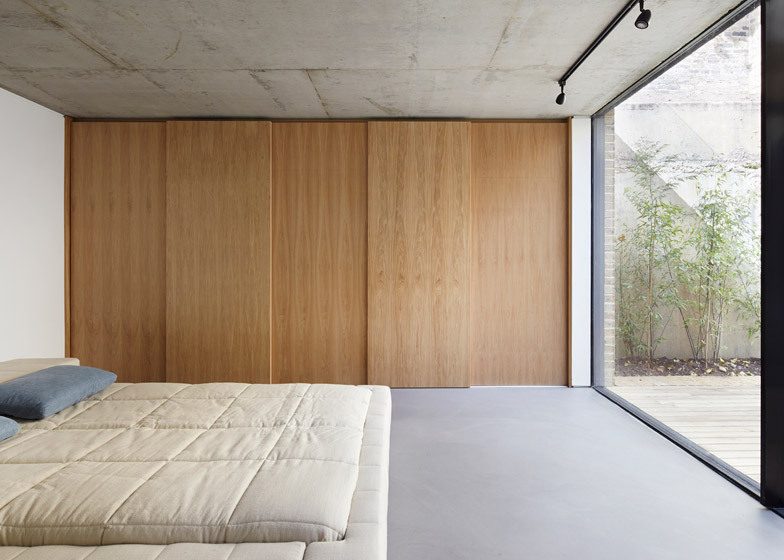 Polished concrete flooring runs throughout the property, while the walls – with the exception of a concrete wall within the master bedroom – are plastered and whitewashed. On the ground floor, the main living area leads out onto the paved courtyard. A dining area connects the living space and kitchen, which can be hidden behind folding doors to allow the area to function as a "simple, minimalistic space for entertainment and relaxation". On the basement level, bedrooms are offset from the oak-panelled hallway, and each have access to decked outdoor spaces. 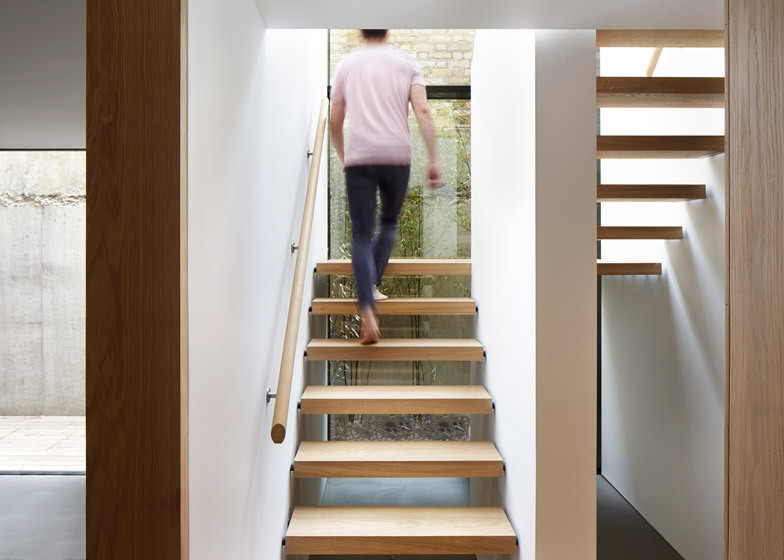 "The bedrooms occupy a series of deep lightwells, which allow large levels of natural light to enter the lower level and dispel any impression of being in a typical basement," Tracey explained. 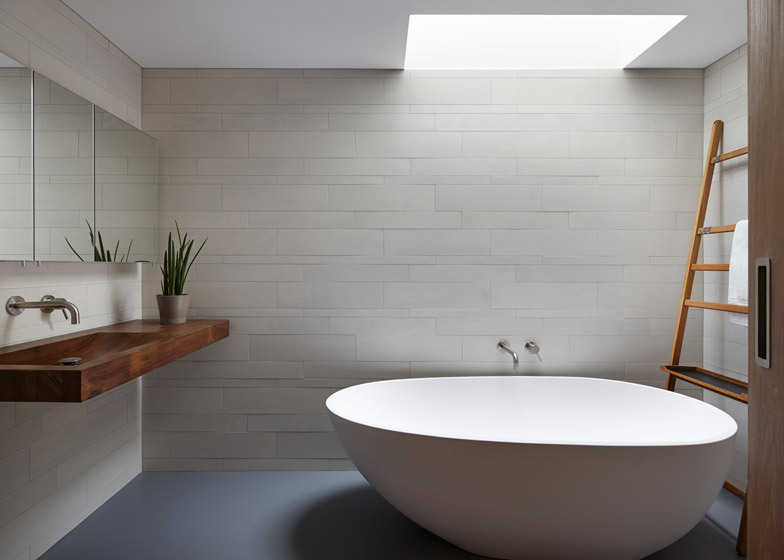 While the master bedroom has an en-suite shower room, a large family bathroom with a wooden sink and grey tiled walls serves the rest of the house. 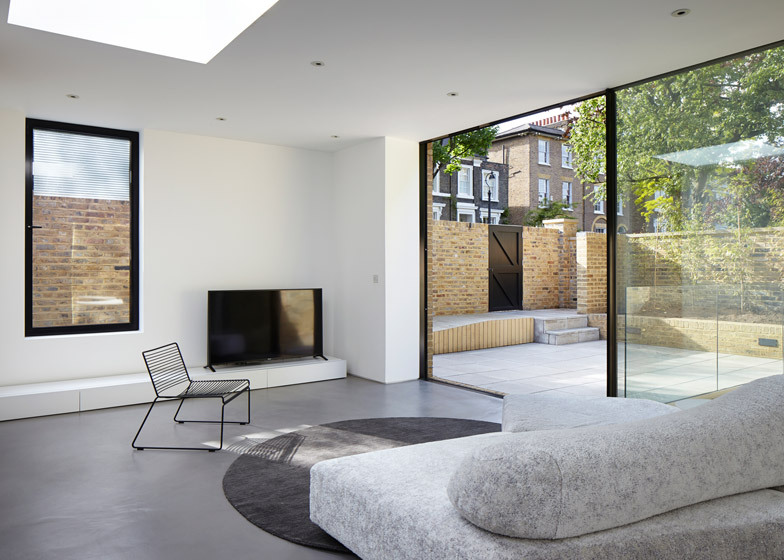 Other recently completed residential projects in south London include a pale brickwork extension to an end-of-terrace by Tsuruta Architects and a five-bedroom house with walls of opaque glass by Ian McChesney.